I would like to welcome you to Tatsumi and Partners’ website! This year we are celebrating our 35th year as a Landscape Architecture company. Over these past 35 years, we have completed more than 400 Landscape Architecture projects in the public and private sectors. In the public sector, our projects include transportation, highways, infrastructure, design-builds, visual impact assessments for EIR’s, bridges, aesthetics, parks, streetscapes, toll roads, rail, and public-private partnerships (P3). And in the private sector, our projects include master planning and housing. We have recently completed numerous large-scale design/build projects in Los Angeles, Orange and San Diego Counties. Additionally we have been involved in some of the largest, most visible and/or challenging projects in the Southland. Our staff of professional landscape architects, designers, arborists, visual simulation artists, irrigation designers and technical writers have taken on many of the most challenging tasks in today's design and engineer fields with a 100% success rate. 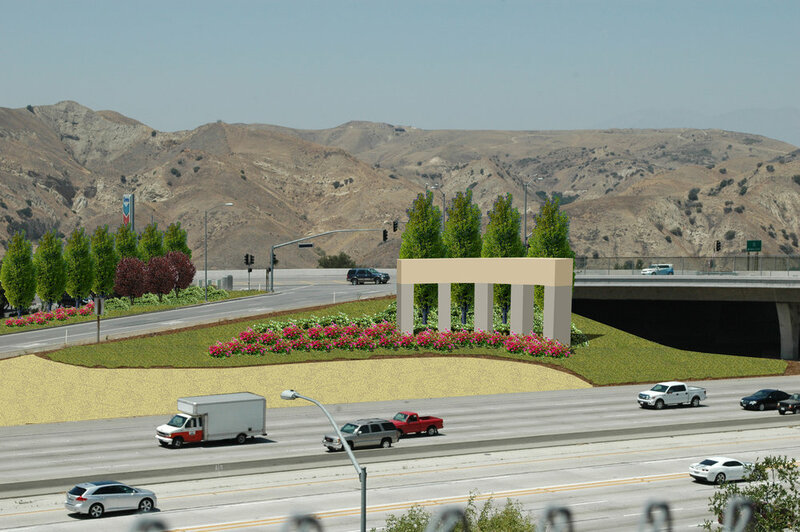 One of our successfully completed transportation projects is the SR-91 Corridor Widening Design/Build project. This project involves a 11-mile length of a major East-West transportation running within the City of Corona. Design elements under Tatsumi and Partners' charge included $16 million worth of aesthetic treatments for structures including bridges, soundwalls, and retaining walls as well as the landscaping. This project illustrates the successful collaboration between designers, engineers, construction entities and government agencies.